Our client is a high growth telecommunications software vendor with world wide operations in the high flux telecom market. Our client's products allow mobile network operators to rapidly deploy a flexible, open, next-generation wireless network to offer their end customers rich voice, data and multi-media services. In addition, the client technology also delivers provisioning, billing and network management operations. Telecom operators find themselves in a saturated and competitive market, where end consumers are extremely choosy about what they spend on their wireless technology and services, and are constantly seeking new features, options and tools to improve their personal and business lives. As spending per customer is a variant of the options service providers deliver, network operators are constantly seeking new, yet extremely economical-solutions that will help them expand markets and revenue per customer. By the time our relationship began, our client had successfully deployed a core wireless gateway product at various network operators across different countries over the last seven years. The third version of the product was currently in operation and the fourth version was being developed. The client was looking for a business partner to design and develop value-added add-on components based on the existing architecture and to seamlessly integrate them with the current product. The new version would add significant features to the product base, thus creating broader markets, increased revenues, and higher margins for the network operators. The client's plan was to leverage the chosen development partner to deploy these value-added modules at its customer sites in the Far East, and then roll it across other geographies. The partner would also provide technical support to the product customers. Our client's technology platform was expected to be used by content providers seeking to establish an independent source of revenue from end-consumer use. This required a way for our client's telecom customers to offload the provisioning and testing of new services to the content providers themselves in a simple, efficient, and easy-to-use manner. 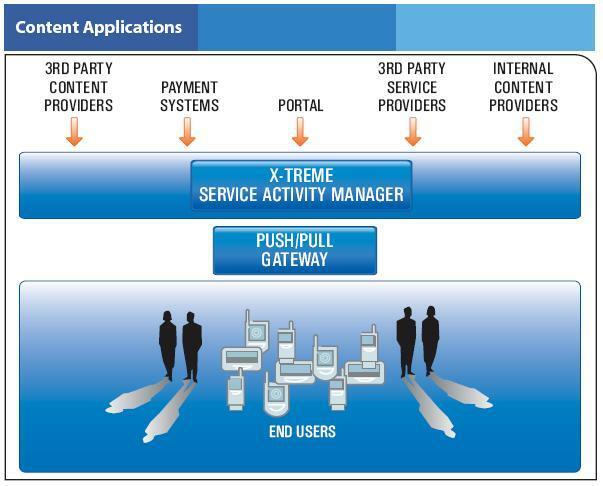 A new module called the X-treme Services Activity Manager (XSAM) was designed to make this possible. 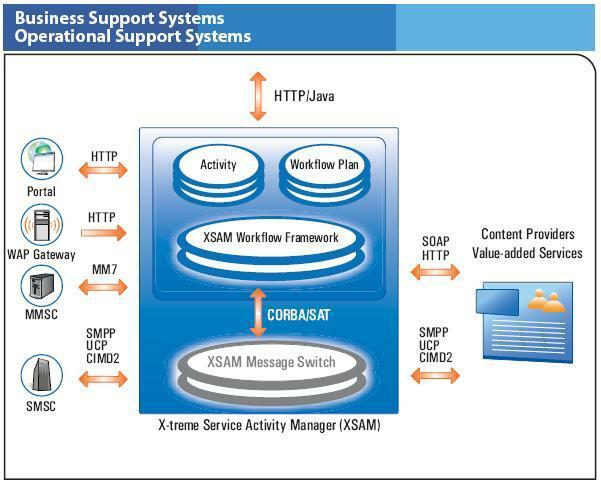 The challenges in developing and deploying XSAM included the need for excellent understanding of wireless technologies from the carrier side, telecom operations, J2EE tools and architecture, SNMP based network monitoring, clustering and Open Software based software development methodology. Xoriant adopted a multi - pronged approach towards this project. The Xoriant and client teams began the engagement by clearly bifurcating product specification/architecture and design/development/testing. Xoriant's architect team became an integral part of the client product team, and could work seamlessly with the Xoriant design team offshore. Rather than directly implementing the required features, Xoriant took a structured approach. We designed a modular system by building a framework of class libraries. Even though it took more up front time investment, this approach brought in much higher expandability and standardization to the next generation of products. The emphasis on scalability paid rich dividends when the XSAM module sustained a punishing SOAK testing conducted by one of the customers. The product went through all the test cases, without failure, over a period of 48 hours. Since Xoriant's team was available both technically and geographically to participate in the pre-sales activity, we were involved in assisting the client sales teams in building client-specific demos and prototypes. 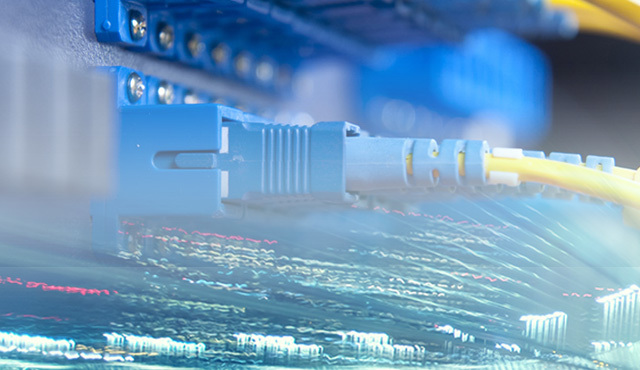 After the product was sold to one of the network operators in the Far East, we carried out a professional services assignment at the customer site. Customizations were developed and deployed to high customer satisfaction, even as our dual-shore model helped us to deliver on time and within budget. After the first successful build and deployment, Xoriant and the client modified the team structure where product engineering, professional services and technical support could seamlessly move between the three areas. This resulted in higher flexibility and lower cost for the client. Xoriant initially followed a development model with the client-driven processes but, over the period of the engagement, we have gradually transformed this into a full-fledged process driven assignment for smoother and better delivery. We began to work using client's existing development approach, and then brought in some components of formal process slowly within client's comfort zone. This caused minimum impact to product schedules and high impact to quality and maintainability of the final product. Quality Control and Quality Assurance were handled by experienced members from Xoriant's centre of excellence for Quality, thereby reducing the testing cycle. Xoriant now provides multi-product end-to-end engineering and professional services to the client. This has helped the client concentrate efforts on increasing the customer base. The customer base has now spread across Europe and Asia. Developed a scalable next-gen service mediation platform between subscribers and service providers, allowing a mobile network operator to quickly create and manage a wide range of value-added services, including downloadable ringtones, movie clips, news, gaming and much more.